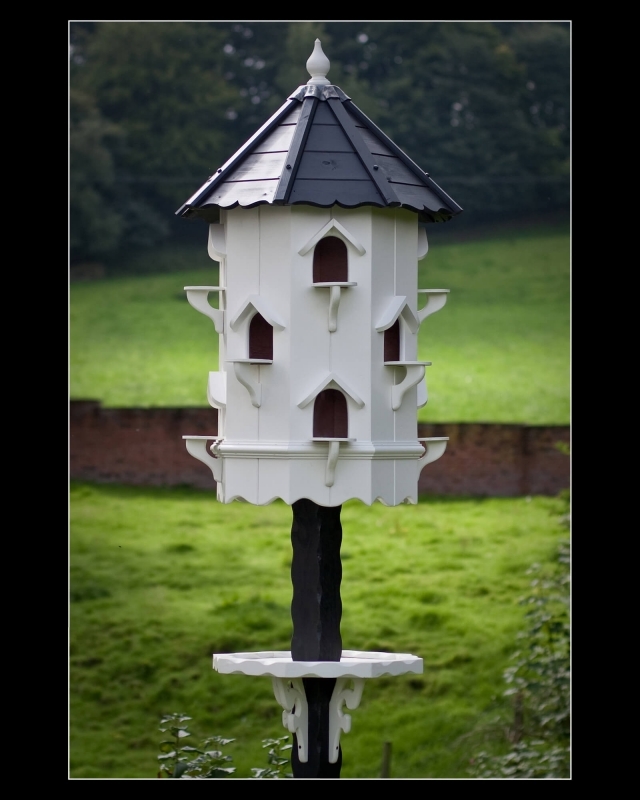 The Timeless Roddlesworth Dovecote is a splendid eight sided triple storey cote, a real statement piece in your garden and our largest Dovecote. 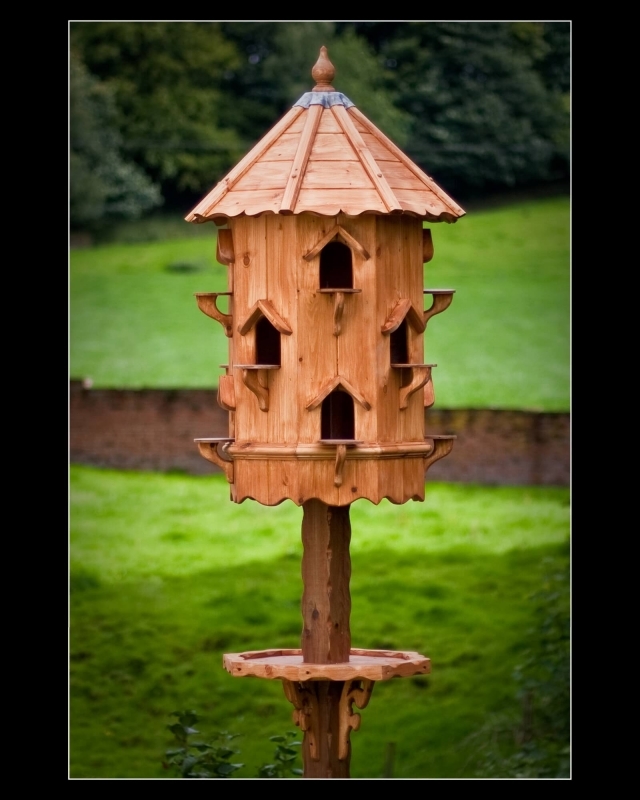 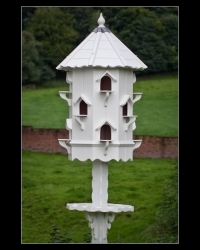 The glorious design offers individual nest compartments for upto 12 pairs of doves. The Timeless Roddlesworth Dovecote comes with mainland UK delivery, a 10ft painted post and a stylish feeding table to finish off this gorgeous dovecote. 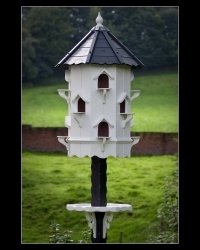 For those with a keen eye for detail we offer a “Timeless Plus” option for an additional charge. 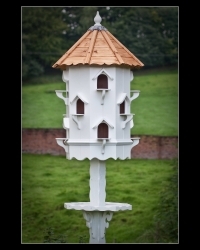 We carefully butterfly scallop your post, around the feed table and each of the roof spars on your cote to create a truly unique and exclusive Dovecote.